He's handsome and cute! Gabe is a little cockatiel who's so nice to other birds that he's even befriended some with special needs. He enjoys 'free flying' time, but then he hops right back into his cage after a while if you leave the door open. He's cute as can be! 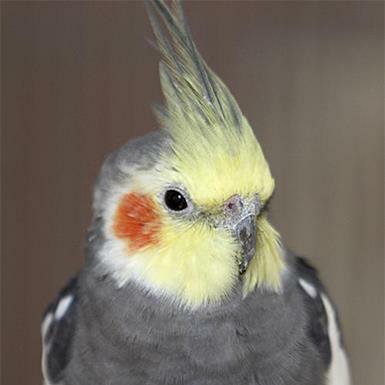 Wouldn't you love a little cockatiel like Gabe?